Sunday featured the conclusion of the 2017 IceMan WPH Outdoor Stop #1, featuring the tour’s most winning player aiming to add to his legend and a newcomer looking to stun the 12-time WPH Outdoor singles champion. 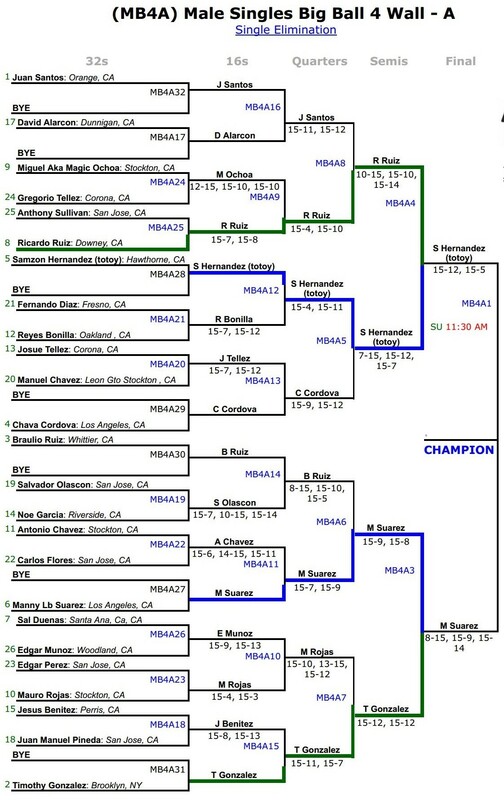 Samzon Hernandez entered the IceMan singles final as the IceMan defending champion and in search of his record-breaking 13th WPH Outdoor singles title. Manny Suarez captured gold in the 2016 Simple Green U.S. Open doubles and was aiming to add a major singles title to his rapidly growing resume. Hernandez dominated the action in game one, appearing to be in complete control after taking game one 15-6. Suarez found his game in the second, playing virtually even with “The Machine” throughout the game. “I’ve been playing a lot of doubles against Samzon and I’ve watched him since I was 12 or 13 years old,” stated Suarez. Suarez faced match point for the second consecutive match at 14-14 in game two, but just as he did in the semis, Suarez came up with the goods under pressure. Suarez escaped game two and dramatically won his first singles title in the first singles tournament of his career in a 15-13 third game thriller. Top-seeded Timbo Gonzalez and Shorty Ruiz #TeamShimbo cruised to the IceMan pro doubles final, overcoming a second-game semifinal lapse against Manuel Areola and Ricky Ruiz to advance to the final. 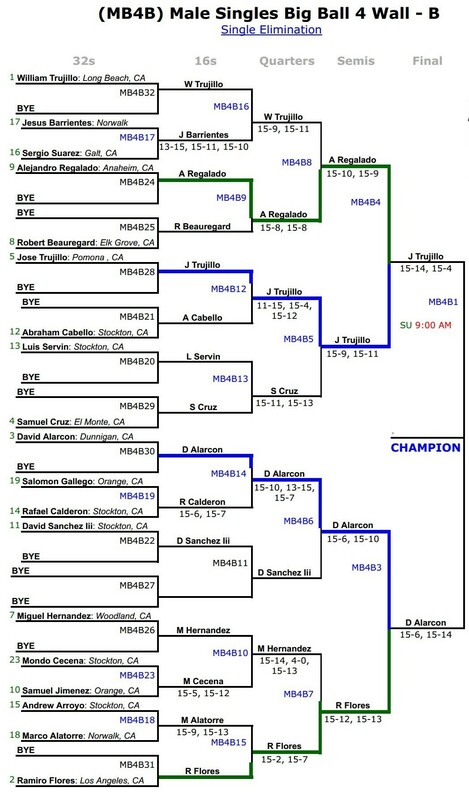 The “Super Team” of Samzon Hernandez and Juan Santos were no match for Team Tellez in the bottom bracket semifinals, as Josue and Gregorio took apart the two most winning WPH Outdoor singles players in the history of the WPH Outdoor tour. Team Timbo/Shorty proved that they are the premiere doubles team on the WPH Outdoor tour, clinching the IceMan doubles in two games against Team Tellez, making the IceMan their fourth WPH Outdoor doubles title in less than a year. 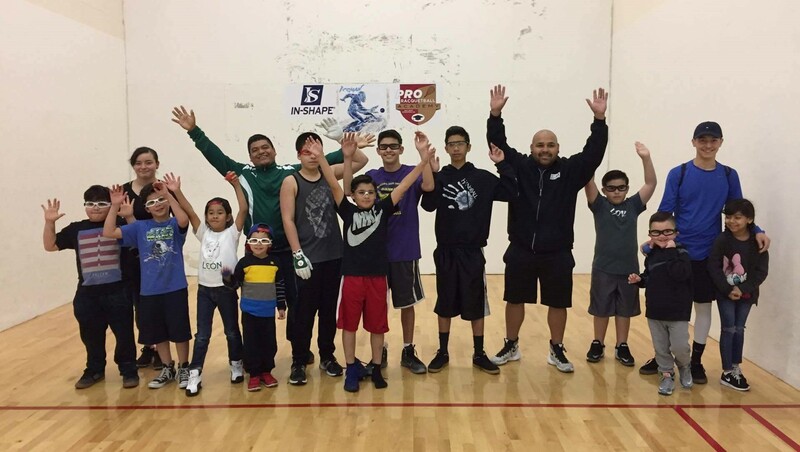 JR WPH proudly hosted a junior handball clinic for the second consecutive year at the IceMan, with WPH Outdoor superstars Juan Santos and Sal Duenas coaching a dozen boys and girls between the ages of 7-16. Coaches Santos and Duenas worked on drills for nearly an hour with the youngsters, focusing on the serve, kill, fly kill, stretching exercises, and ending the session with pro-junior challenge doubles matches. “I always enjoy working with the next generation of players,” stated Coach Duenas. “The kids are the future of our sport and its great to see them so excited about playing.” Thank you to Coaches Santos and Duenas for volunteering their time and expertise in Stockton! Thank you to IceMan tournament director Angel Hernandez and to the WPH staff for a great event. WPH Outdoor #1 and top-seeded Juan Santos faced former WPH Outdoor singles champion Ricky Ruiz in the IceMan’s first quarterfinal. Despite taking off most of last season, Ruiz was sharp and steady under pressure. Ruiz stunned the WPH Outdoor #1, rallying from 10-14 down in the tiebreaker by winning the final five rallies of the match to advance to the semifinals. 5-time Simple Green U.S. Open Champion and defending IceMan champion Samzon Hernandez found him down a game and trailing in the second before finding his game to eliminate Chava Cordova. 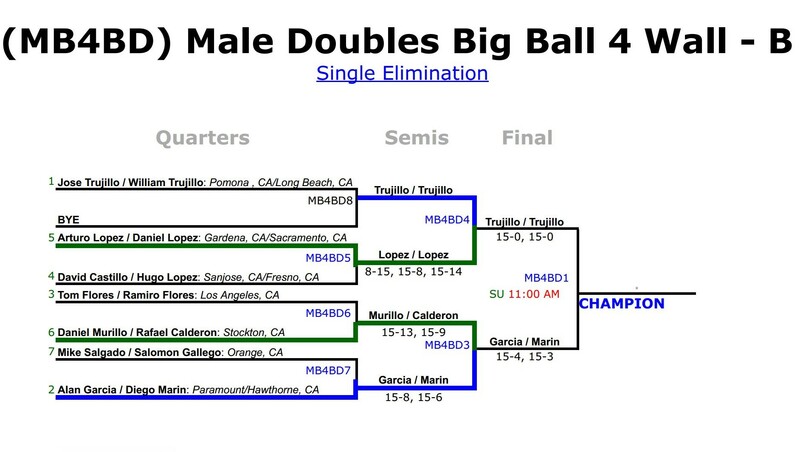 Manny Suarez was impressive in dispatching big ball 4-Wall specialist Shorty Ruiz in two games, setting up a bottom bracket semifinal clash with second-seeded and three-time 2016 WPH Outdoor singles champion Timbo Gonzalez, who also advanced in two games against Mauro Rojas. 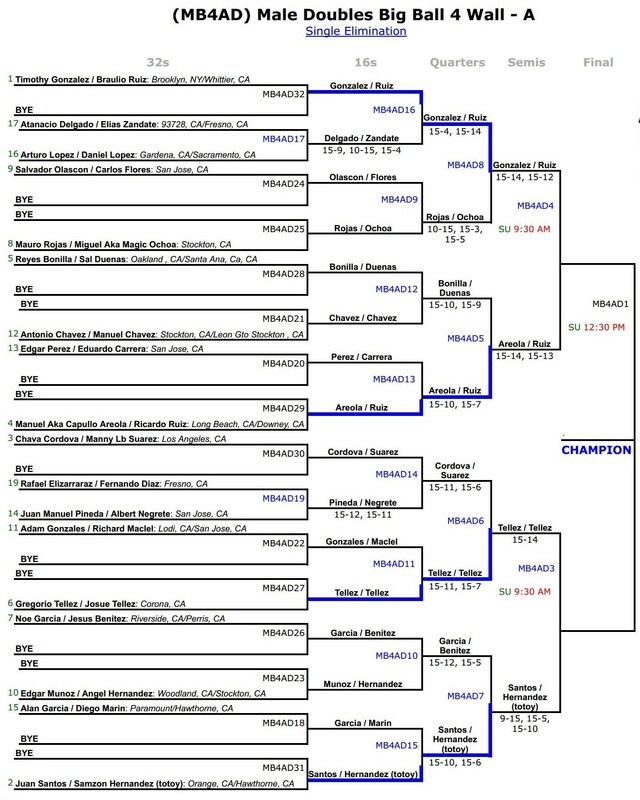 Samzon Hernandez narrowly escaped defeat in his quarterfinal match with Chava Cordova to keep his IceMan defense intact. The Machine’s semifinal clash against Ricky Ruiz would lack the drama of his quarterfinal win, with Hernandez sharp and crisp in his two-game victory against Ruiz. Playing in his first major pro singles event, Manny Suarez stunned #2 seed Timbo Gonzalez, dropping game one and holding off match point in game three to advance to his first WPH Outdoor singles final. Follow live updates from the IceMan on all of the WPH’s Facebook pages throughout the weekend and a full recap from the 2017 WPH Iceman on wphlive.tv at the conclusion of the event. Stockton, CA, WPH Press, 1/27/17- The WPH is excited to present the 2017 IceMan 4-Wall Big Ball WPH Outdoor Stop #1 from Stockton, CA from January 28th-29th at In Shape West Lane. Now entering its sixth season, the WPH Outdoor has hosted 30 events since its inception in 2012, exposing the world’s greatest Big Ball handball players to a worldwide audience, while also inspiring the next generation of handball players with clinics and junior handball tournaments in family-friendly events. The 2017 IceMan tournament features defending IceMan pro singles champion Samzon Hernandez aiming to repeat in Stockton. Plagued by inconsistency in 2016, Hernandez salvaged his 2016 season by winning the season’s final ranking event at the 2016 Simple Green U.S. Open. Hernandez will seek to continue the momentum gained from his U.S. Open win three months ago at the IceMan, but his road to a repeat championship will not be an easy one. WPH Outdoor #1 Juan Santos will be seeking his first IceMan singles title and proved by winning the 2016 WPH Outdoor Salt Lake City Aces 4-Wall Big Ball last April that he excels in not only 3-Wall Big Ball, but 4-Wall as well. 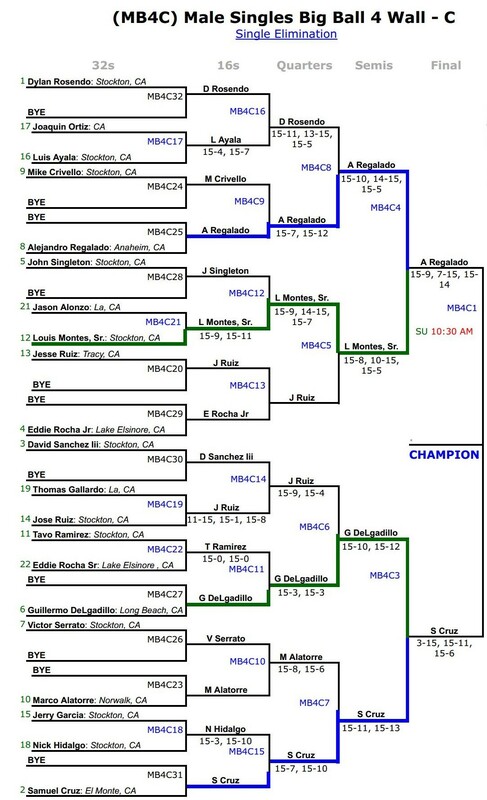 While Hernandez and Santos have been the two greatest players in WPH Outdoor history, with each winning 12 singles titles since 2012, they will have to be concerned about more than just one another in Stockton. 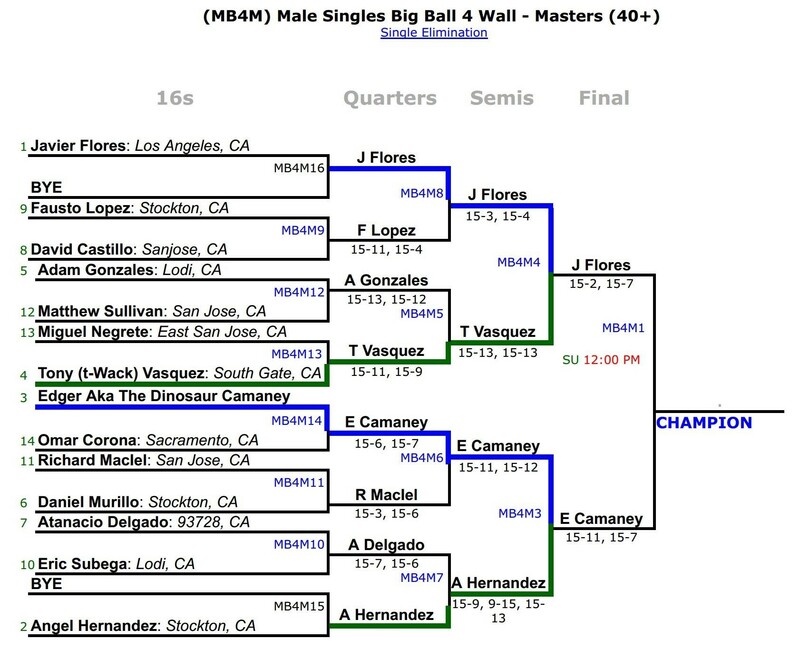 New York’s Timbo Gonzalez will be making the trip to Northern California, hungry for his first WPH Outdoor 4-Wall Big Ball singles championship after winning three WPH Outdoor (outdoor) singles titles last season. Ricky Ruiz, Shorty Ruiz, Chava Cordova, Sal Duenas, and surprise 2016 Simple Green finalist Josue Tellez will join Santos, Hernandez, and Gonzalez on the short list of IceMan contenders. 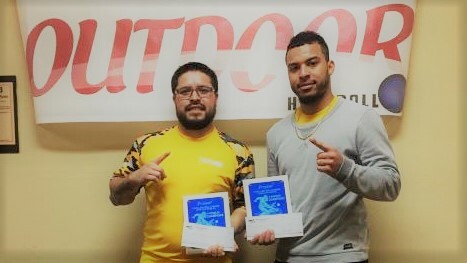 In perhaps the most intriguing pairing in WPH Outdoor doubles history, Juan Santos and Samazon Hernandez have teamed up in the pro doubles at the IceMan, combining their 24 WPH Outdoor singles titles to form a “Super Team.” The Super Team’s chemistry and ability to play together will be tested in a stellar doubles field that includes three-time 2016 WPH Outdoor doubles champions Shorty Ruiz and Timbo Gonzalez, Manny Suarez and Chava Cordova, and Manuel “Capullo” Areola and Ricky Ruiz. WPH Outdoor Player’s Cup: The World Player’s of Handball’s WPH Outdoor Player’s Cup Series was formed in 2012 to showcase the game’s best Big Ball handball stars. Since 2012, the WPH Outdoor Player’s Cup Series has hosted 30 events in California, Mexico, Utah, and Nevada, creating the stage for hundreds of top big ball handball stars to compete against one another in professional, competitive and family-friendly events that promote sportsmanship and community spirit while inspiring the next generation of players. The WPH Outdoor 6 season features events in California, Utah, and Nevada, with all WPH Outdoor events host JR WPH clinics with WPH Outdoor Elite players serving as mentors and coaches and junior tournament divisions starting at nine-and-under for boys and girls.